will get you anywhere. Adventure out like never before. Explore through the hills of the Algarve. The Maverick X3 will get you through anything. 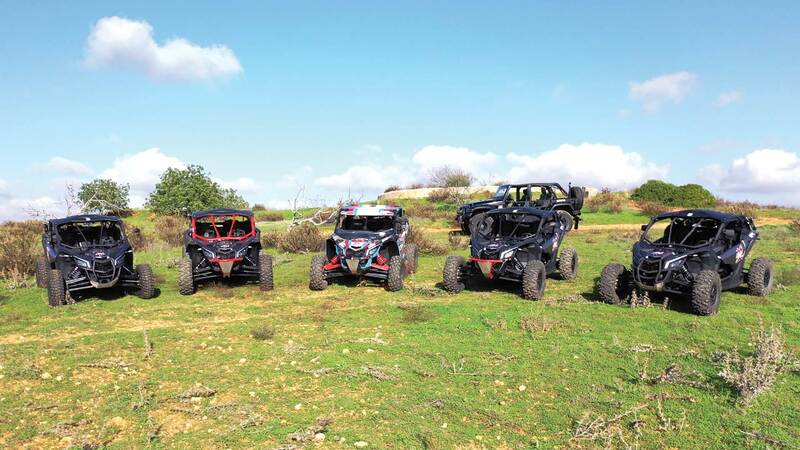 Compete side-by-side in the mountains of the Algarve. On and off our technically challenging private tracks. Our crew comprises Dutch, English and Portuguese enthusiasts. 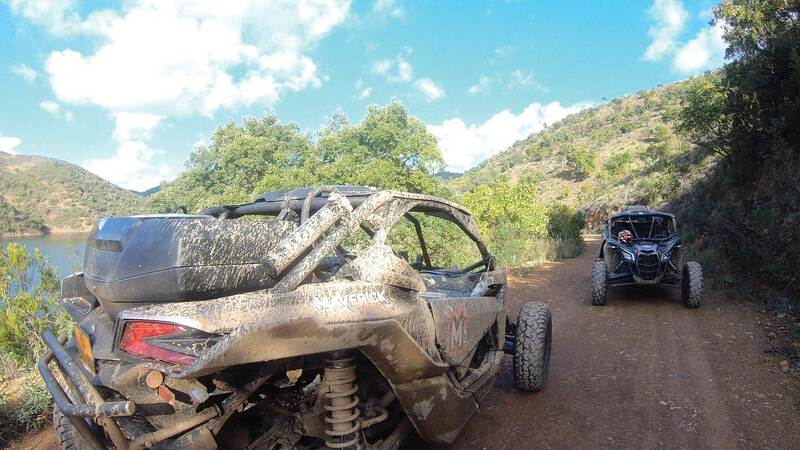 The owners have years of experience with side by side vehicles and BAJA offroad racing. 0 to 100km/h in less than 4.5 seconds, 172Hp and weighing only 700 kilograms. 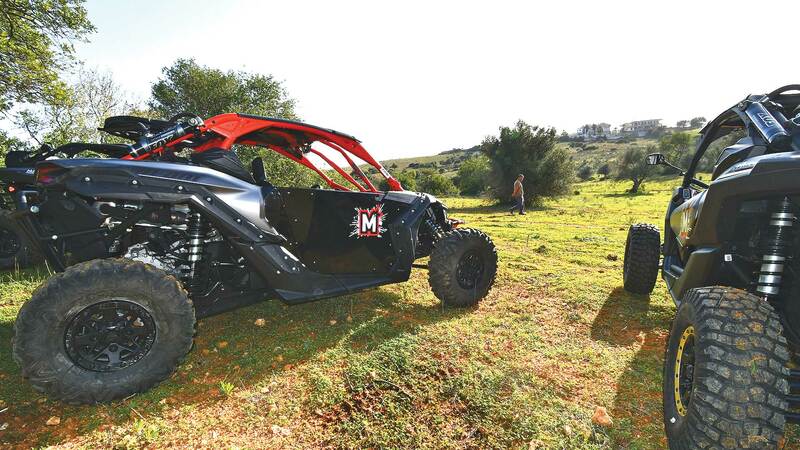 The Can Am Maverick X3 tears up the side-by-side vehicle rulebook. You WILL unleash your own inner Maverick! Almost 10 years of exploring the Algarve with offroad bikes and side-by-sides. We have a selection of possible routes boasting the most beautiful locations in Portugal. We organize multiple day, offroad group side by side adventure trips in Portugal. 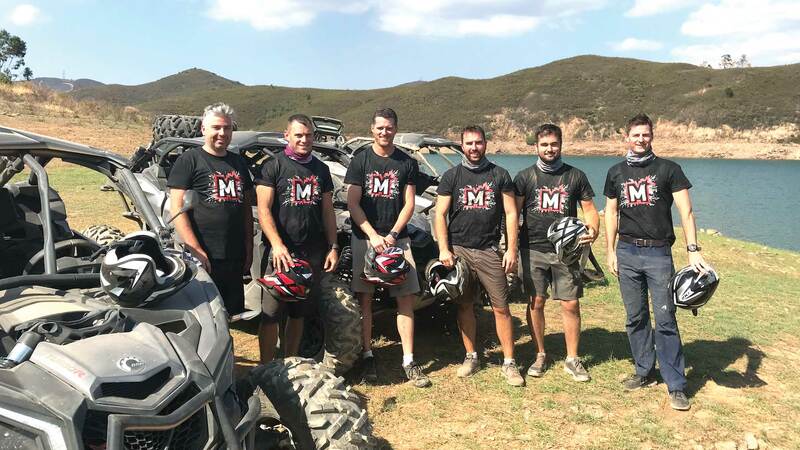 All participants drive a brand new Can Am Maverick X3 XRS. The complete tour is a combination of learning how to drive a 172Hp side by side in a safe and responsible way, also, create an unforgettable offroad tour experience over one or multiple days in the most challenging Portuguese surroundings. We reserve one full day for training and competitive racing experience. The competition will include racing, drifting, technical obstacle driving and mechanical skills. Optionally, you can discover the last day of the experience the beautiful Algarve. You can do it from the clear blue water in our private owned 42-foot Yacht. All participants will learn how to flyboard with a certified flyboard instructor. An experience you don’t want to miss and a perfect ending of a beautiful trip!